Building regulations (building standards in Scotland) are minimum standards that apply to almost all new building work, including alterations to existing houses. England and Wales share the same regulations, and Northern Ireland has very similar regulations. The devolved Government in Scotland has its own legislation, as does Ireland. So, if you're planning an extension or renovating a house, find out what you need to know about building regulations first. The idea of regulating building standards is to control the quality of new building work and alterations. They control health and hygiene, safety, welfare, convenience, energy-efficiency and sustainability. Information on what is covered and the standards required for England and Wales are defined in the Approved Documents, which cover the 14 parts of the building regulations and provide details of how to comply. Your project will have to comply with approved documents, which are recognised by lettered Parts that relate to project types. How do Building regulations affect home improvement? Building regulations cover all aspects of construction, including foundations and underpinning, the overall stability of the building, damp-proofing, insulation, ventilation, heating, fire protection and means of escape in case of fire. All extensions and conversions will require building regulations approval. Repairs are not generally covered by the regulations, provided that they are of a minor nature or replacing like for like. This includes replacing small areas of brickwork, re-pointing, plastering, rendering and replacing less than half of a roof. Where the repairs involve structural alterations that include removing some or all of a load-bearing element; rewiring; extending or altering a controlled service, for example, drainage or a heating system that uses a gas, oil or solid fuel; replacement windows; work to any combustion appliances (such as heating) or substantial removal of roof covering (more than 50 per cent) or wall finishes (more than 50 per cent of the plaster finish), then the regulations will apply. There are two options when submitting an application for building works – a Full Plans application or a Building Notice application. Both of these types of application need to be submitted before you start work, and the total fee for each is usually broadly the same, payable to the local authority or an approved inspector. The Building Notice procedure is intended for minor works. What to submit for a building notice application? The appropriate fee and estimate. Please note: Building Notice cannot be used for a house fronting onto a private road or built over or within three metres of a public sewer. After submitting, you may be asked for the plans of the work or calculations to show that the regulations are being complied with, or plans for work that is not straightforward. One disadvantage is that the notice is only acknowledged by the inspector, and there is no approved plan to work to for guidance and security. It is therefore only suitable for those fully conversant with the regulations. What do I need to submit for a full plans application? If required, four copies of plans for buildings covered by fire safety legislation, showing fire resistance, compartmentation, fire detection and alarms, emergency lighting, means of escape and signage. If online applications are accepted, only a single copy of each plan is required. Do I have to use the local authority building control department? Checking compliance with building regulations is undertaken by Building Control Bodies, which includes Approved Inspectors in the private sector as well as the local authority building control department. You can choose which service to use. Both are able to set their own fees and you may be able to negotiate it. Who produces the information required? You can produce the information required to demonstrate compliance with the building regulations by producing drawings and annotating them with the correct standards, which you can find in the Approved Documents, although you are likely to need a structural engineer to provide the calculations for foundations, roof design and any structural alterations. Most homeowners use an architectural designer (architect, architectural technologist, surveyor or engineer) to produce the drawings and to provide the details of the specification. An experienced designer will be familiar with the regulations and should know how to achieve what you want with minimum compromise in terms of layout and aesthetics. If your designer is telling you that your intended design will not comply with the building regulations but you have seen a similar design built before, then you should seek a second opinion, as there is likely to be a solution available. 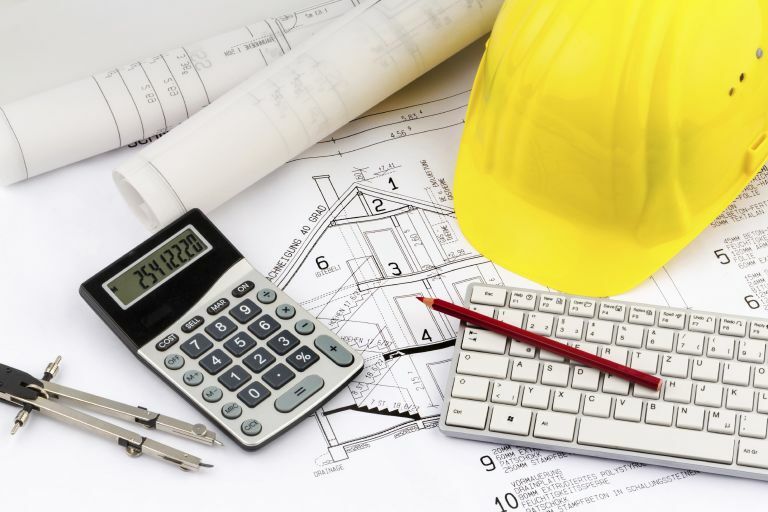 The cost of producing building regulations drawings will vary according to the scale and complexity of the project. For a typical residential extension, the fees are likely to range from £2,000 to £5,000 plus VAT. If you are arranging work under a design and build contract, the cost of the design work, including building regulations drawings, should be itemised within the overall quote for the works. How soon can work start? You can legally start two working days after submitting a building regulations application following written submission of your intention to start works. If you have made a Full Plans submission, bear in mind that the local authority will not yet have had opportunity to review the drawings and advise on any issues that arise. You can usually expect a response within two weeks of confirmation of receipt of all of the information. Building regulation fees range from £80 for replacement windows up to several thousand pounds for major extensions or conversion projects. There are discounts for multiple works and fees can be negotiated. Fees are also subject to the standard rate of VAT. Why do I need to conform to building regulations? Meeting the building regulations is a legal obligation placed on any individual or organisation carrying out building work. Failure to meet these obligations is a criminal offence, which could lead to prosecution. If you undertake work without getting it approved, it is likely to make the property difficult to sell on. My installer says they can deal with the regulations? Certain types of work will be automatically approved for building regulations when undertaken by a suitably qualified installer who is a member of a competent persons scheme, and therefore allowed to self-certify their own work for building regulations purposes. They will inform the local authority, which records that the work has been undertaken and approved. Details of all current schemes and members can be found at Gov.uk. Schemes cover the following works: cavity wall insulation, combustion appliances, electrical installations, heating and hot water systems, mechanical ventilation, electrics, plumbing and water systems, replacement windows, doors, roof windows and rooflights, replacement of roof coverings, microgeneration and renewables. There are a few types of new building that are exempt from notification. These include porches, carports, small garden outbuildings and certain types of small conservatory. Changes to your approved plans can usually be accepted as a minor amendment, but it is worth discussing this with your approved inspector. How long does an application remain valid for? Building regulations applications remain valid for three years after the date of submission and the regulations that apply during the whole period are those at the time of the submission. Once the work has started, there is no time limit for completing the works. Following commencement, there are certain key stages in building work that require inspection to prevent having to reveal the works again later. These are: inspection of excavations for foundations, concreted foundations, damp-proof course, oversite preparation, drainage as laid (before backfilling), drainage on test and completion. Floor joists, roof timbers, beams and their bearings should also be inspected before they are covered up. You can request an inspection by telephone, email or in writing, but you must give sufficient notice to allow the inspector to schedule their visit. After the final inspection, an approval certificate or letter confirming compliance with the regulations will be issued, and approval recorded on the authority website. What can I do if I have already carried out building works without getting approval? Work completed since 1985 can be regularised by applying and arranging an inspection and paying the appropriate fee. Alterations may be necessary to bring the work up to standard. Should I remove a load-bearing wall to open up space? Renovating your home? Let experienced self-builder Michael Holmes help make your project a success.